You know I likes me some Mando action and Fett is my favourite flavour, so this bad boy caught my eye when it popped up in my Facebook feed as I was getting ready to go out. I can eat later, Boba Fett is more important. Immediately after finishing that sentence, the suggestion was made for the family to go and see Bohemian Rhapsody. I’m not saying Queen trumps Boba Fett, but tell me you couldn’t see Fett walking through some hive of scum and villainy to the tune of Another One Bites The Dust. No regrets. 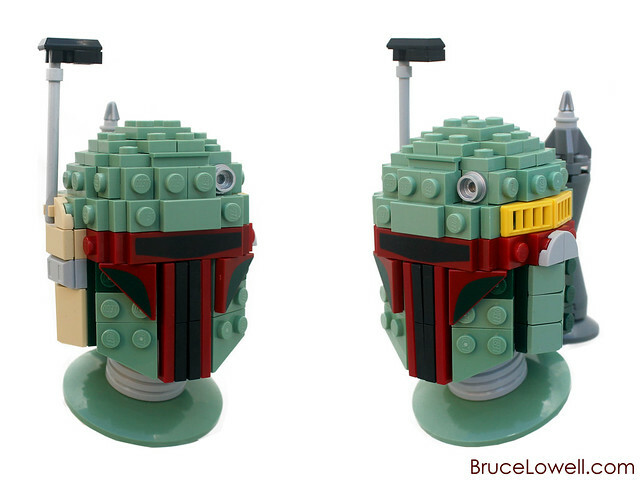 Anyhoo, this build makes great use of the printed helmet contours from the Fett Brickhead that I just went right out and bought after the movie. Bought Minnie Mouse too, so don’t read too much into it. As much as I like this, the neck and shoulders are my favourite part. Incredibly simple and yet perfect. Well played! Boba Fettish, Check This Out!